Being able to utilise the powerful processor within your smartphone on a larger screen and full size QWERTY keyboard has been attempted many times before. However Cloud Media think they have created a solution that is both affordable and versatile and is now available from $109. 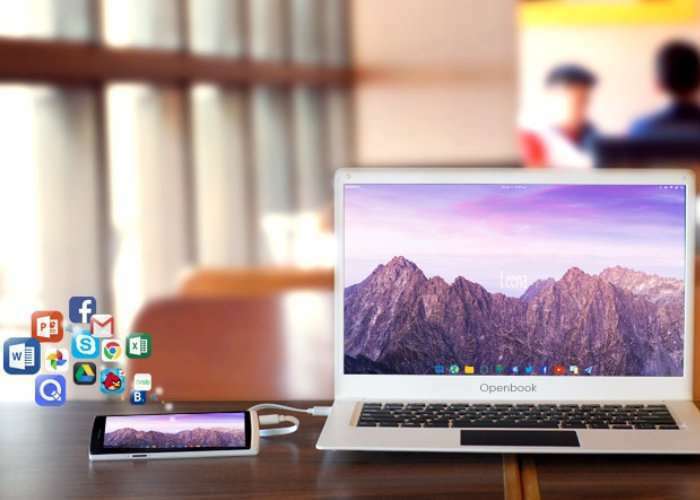 The Cloud Media Openbook smartphone laptop allows you to utilise your smartphone processor, memory and operating system on a larger screen when creating larger documents, spreadsheets, email and more. Cloud MediaExplain more about their Openbook smartphone laptop solution. 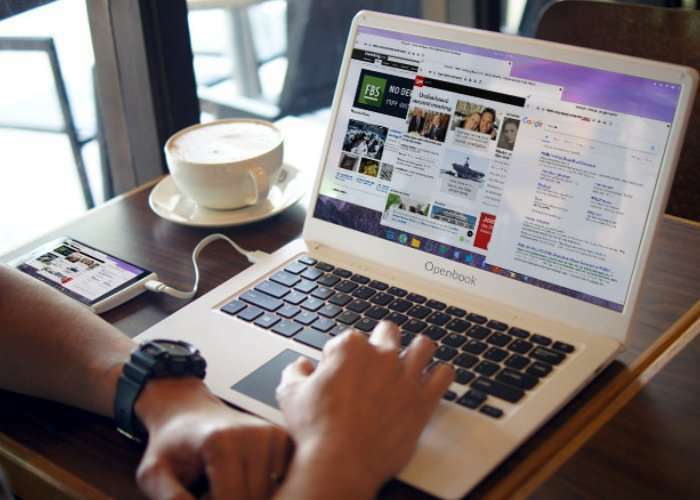 At its core, Openbook is a representation of your smartphone in a laptop mold that boasts features such as a large screen, keyboard, multi-touch touchpad, long-lasting battery, extra storage and sound, and phone charging capability. You’ll have more flexibility than ever before, whether you are a student, an entrepreneur, a frequent flyer, a road warrior, a business person, a gamer, a writer, an artist, a reporter or anything else. The versatility of the laptop lies in its ability to store data. Built with MicroSD Card Slot and USB Thumbdrive Slot, you are able to store more data. The Openbook is also designed to ensure the safety of your information. Utilize the latest technology – the Openbook, and virtually get in touch with your stakeholders anytime anywhere. Openbook will also be your favorite mobile movie watching and game device with its exceptional built-in sound quality. No Wifi service available? Regular internet goes down? Take it easy! Your smartphone and laptop can interoperate in powerful ways! Using your phone’s Internet connection directly to your Openbook. We’ll always keep your productivity up to par! Visit the official Kickstarter campaign page by following the link below for more information, full specifications and a full list of all available pledges.